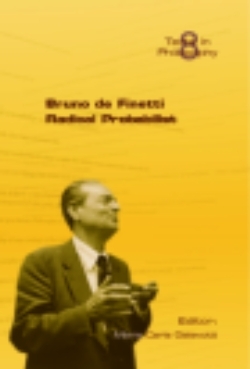 This volume sheds new light on the multifarious personality of Bruno de Finetti and his outstanding contributions not only to probability and statistics, but also to economics and philosophy. Rather than focusing on de Finetti’s technical work on probability, the essays collected here address the philosophy underpinning all of de Finetti’s writings, a view Richard Jeffrey labelled “radical probabilism”. Special attention is devoted to de Finetti’s ideas on economics, which are inspired by the same philosophical approach, while an effort is made to highlight some lesser known aspects of de Finetti’s production. The volume ends with an Appendix on de Finetti’s book L’invenzione della verità (The invention of truth), written in 1934 and published in 2006, which contains an extensive presentation of de Finetti’s philosophical viewpoint, revolving around the idea that our knowledge is the product of human thought, which in such enterprise is guided by considerations of utility, rather than metaphysical principles.